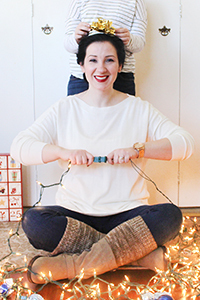 Southern Mom Loves: Fabulous Stocking Stuffers: Cozy, Eco-Friendly, & Made in the USA! 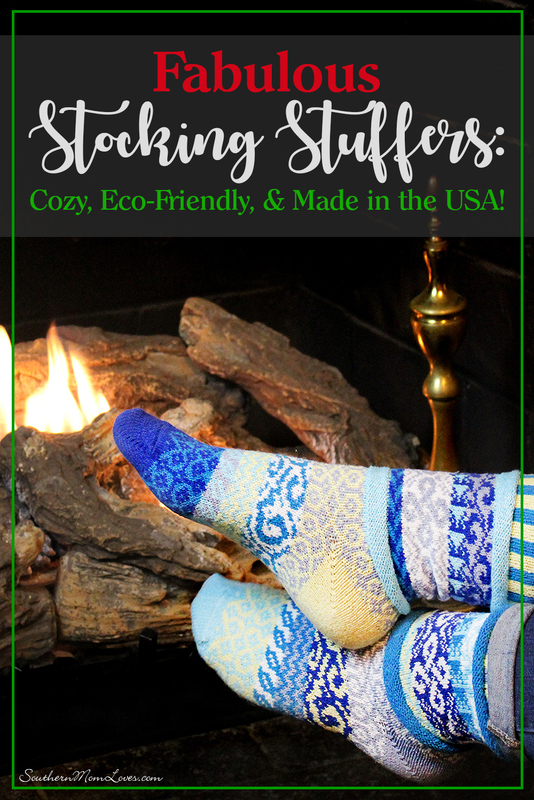 Fabulous Stocking Stuffers: Cozy, Eco-Friendly, & Made in the USA! 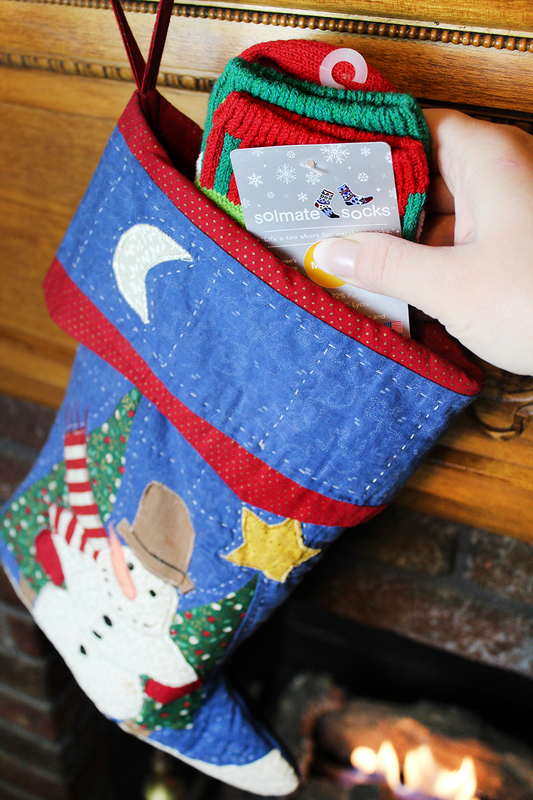 It's time to start shopping for holiday gifts! 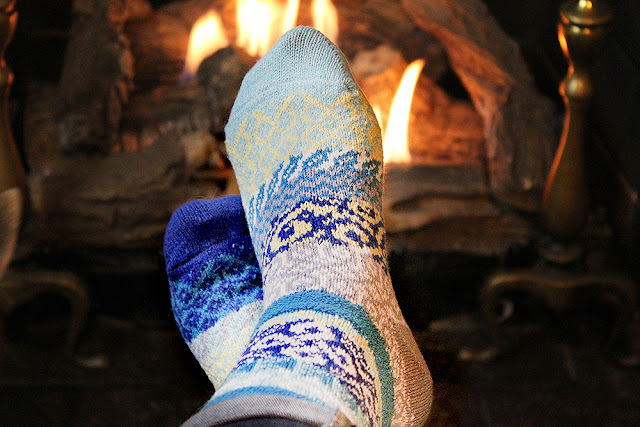 There's nothing I like better to get or to give than something cozy and warm for the cold winter months and a comfy pair of socks are the perfect stocking stuffer. 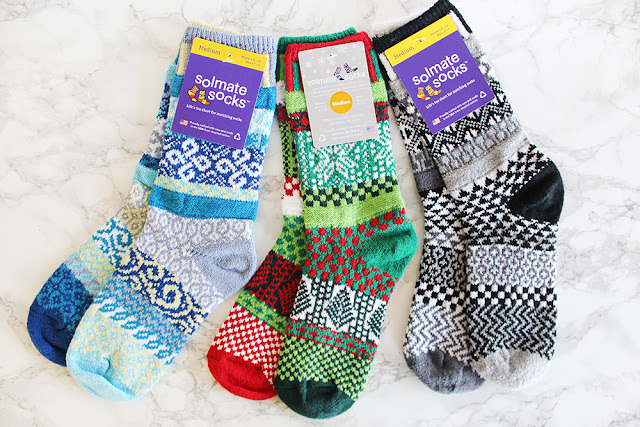 I was sent some fun knit socks to try out from Solmate Socks and was delighted to find out that they're both eco-friendly and made is the USA, and I've got a Free Shipping code just for my readers! 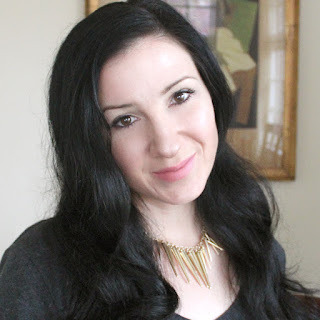 I always look for the highest quality items if I'm giving wearable gifts. How embarrassing would it be to find out they fell apart within a few months?! These socks fit the bill. 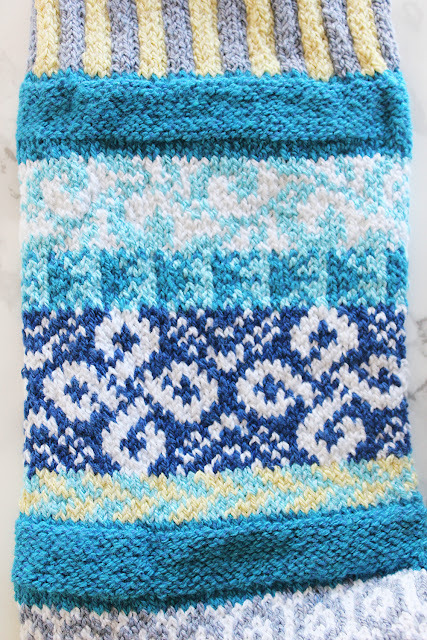 They're thick, soft, and I couldn't see any flaws in the pattern, which you can usually spot with lower-quality knit items. Besides offering whimsical and mismatched socks for adults, they make them for children and babies, too. They also come in Ankle, Crew, and Knee-lengths. How cute would these be with Mary Janes or as boot socks! They're proudly crafted with care in the USA and have always been made in North Carolina. They're also knit with recycled yarn. Solmate Socks strives to abide by a zero-waste manufacturing policy. If any waste is generated, they find a responsible way for it to be used or recycled. There are a ton of different colors and patterns to choose from as well as a line of accessories! Along with socks, they have hats, scarves, mittens & fingerless mittens. 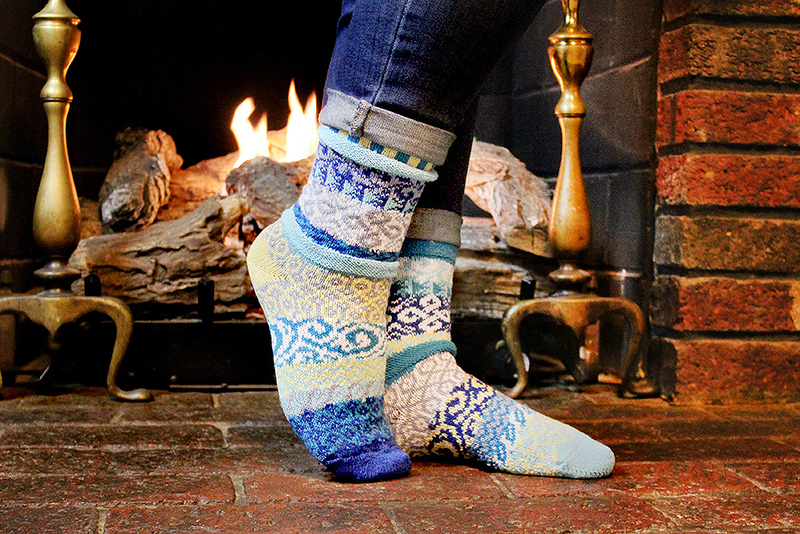 Check them out here and then use the code FUNSOCKS to get Free Shipping on any size order! * Code expires December 31, 2017 and is not valid for expedited shipping options. With one order you'll be that much closer to finishing your holiday shopping, plus you'll know that you supported an eco-friendly product made right here in the USA. If quirky prints are your jam, give them a try! What do you think of Solmate Socks? 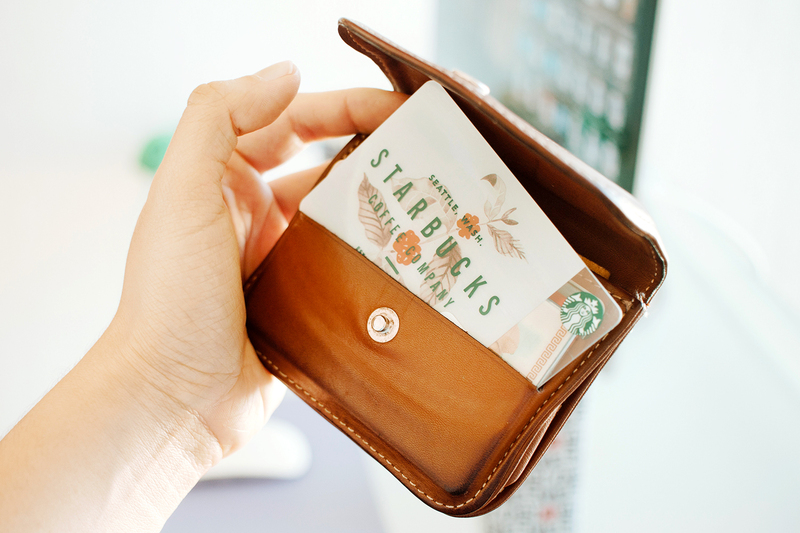 Do you look for eco-friendly or US-made products for holiday gifting? Let me know in the comments below!